I congratulate the band for doing their own thing. 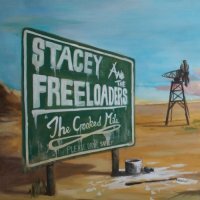 A young four piece vying to produce honest, organic music, Stacey And The Freeloaders claim they are not interested in writing for a target audience or aiming for specific goals in terms of sales. Rather, they have decided to create a self penned album of music that pleases them first and foremost. That's a commendable attitude in itself, but 'Highway One' opens proceedings in an underwhelming manner. 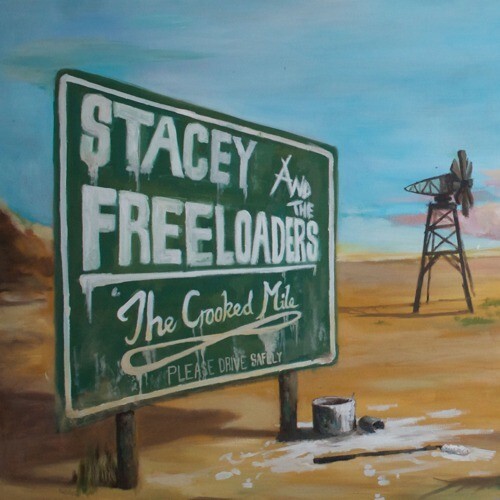 For me, because each of the four piece have had a hand in writing the track, it sound like each of them has tried to put their own stamp on it, with a fussy bassline, drummer Aran Gibb's generous use of cymbal and the guitar pairing of Rob Wicks and Luke Stacey fighting for space as the jangly guitar line overpowers the rhythm chords. 'The Spoils' is a bit better, although the percussion is a bit busy for my tastes. 'Long Way Down' is much slower paced and the band sound much better for it. Lyrically it's not exactly an entertaining listen either, with songs about a 'Man On The Run', 'The Devil Wears Two Shoes' lambasting those who profit from war (ironically set to a quite upbeat arrangement) and 'The Prophet' featuring suitably darker tones to reflect the song being about a fallen despot. Of course, there's always 'Fear And Freeloading' which tackles drug addition and madness to pep things up. I congratulate the band for doing their own thing – that's what music should be about. As long as they gain satisfaction from their output, then I have nothing but respect for that. For my musical tastes though, I found listening to this album hard work and not something I'll go back to now that it's had the requisite number of spins for my reviewing duties.